Looking for a basic go-to Injustice: Gods Among Us combo with Deathstroke when you don't have meter to spare? Well TrU3Ta1ent has got you covered. Check out the meterless combo inside. TrU3Ta1ent is doing more than just showing off flashy Injustice: Gods Among Us combos. He's taking the basics and walking his viewers through the process. 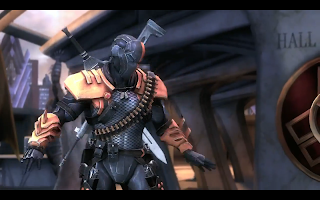 This is a 37-percent meterless Deathstroke combo that is explained by the uploader.